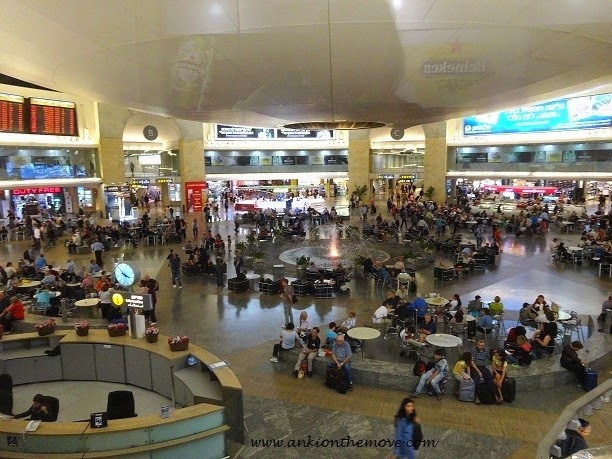 After landing at Ben Gurion Airport(TLV),I was transferred to Dan Panorama Hotel at Haifa by Tal Limousine Company.Haifa,is the third largest city in Israel and second largest port situated on Mount Carmel. In the old city of small town Haifa,about 700 people lived in the 18th century.The newer walls have been built around,so you may have to dig in homes to find how the 'before 50 years' old city walls really used to look! Today,about 3,50,000 people live in the city divided between Arabs(20%) and Jews and Bah'ai and other as other religions.20 years ago the port of Haifa wasn't as big as it is today and that's change happening to the city quite fast! The view from my room was the view of the sea at far.I loved it but slept for a while as I was tired. After meeting Avihai,our tour guide who asked each of us if we were interested in anything particular;we proceeded towards Akko. 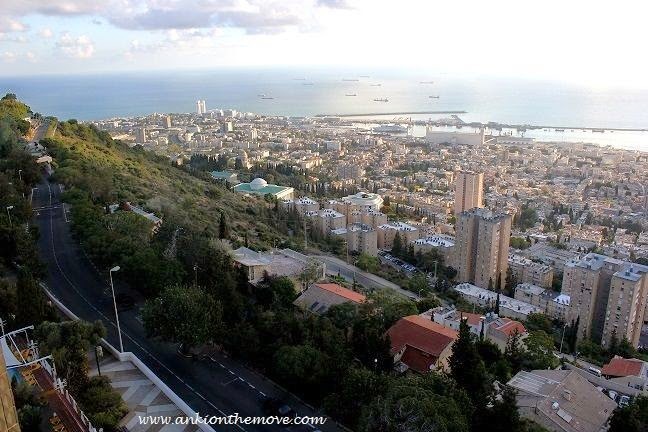 But Haifa deserves a visit too and here's why? We all know Lotus Temple in Delhi,don't we?It's the Bahai's House of worship of the Baha'is in India.The Baha'i Shrine and Gardens,Haifa is the second holiest shrine of the Baha'i Faith. Completed in 2001, are a memorial to the founders of the Baha'i Faith. 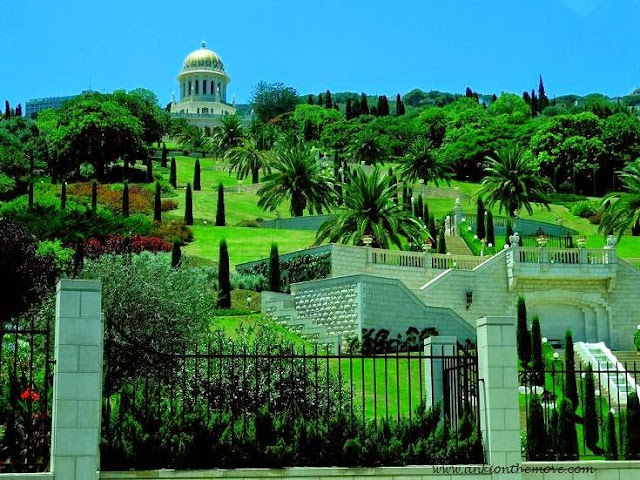 Pilgrims from different parts of the world come to this site.This is by far one of the most visited place in Haifa and one of the most visited in Israel. It is said that the Bahai faith of Bahai religion,started in the middle of the 19th century in 1840's and came all the way from Shiraz in Persia also called the Iran of today.Its founder, Baha'u'llah, was exiled from his homeland at the end of the 19th century, came to Haifa and Akko after suffering persecution in Persia,Middle East and other neighboring Moslem countries until he came to Israel.He told that the forerunner of the faith,Bab,would be buried here at Haifa where Bab's bones were found and the center of Bahai faith was developed. Baha'u'llah,was exiled by Turkish Authorities to Akko(Acre) where he died a peaceful death. 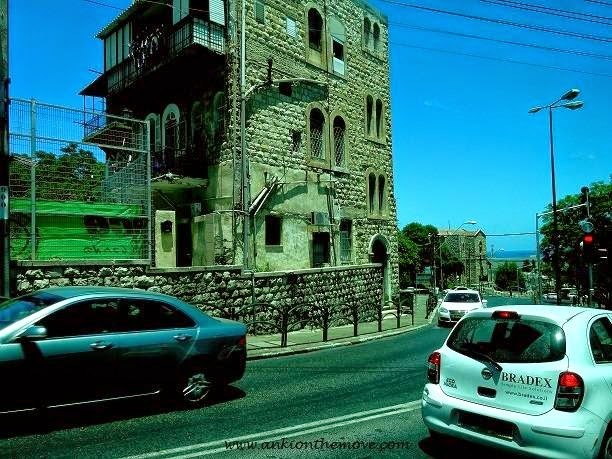 As the city of Haifa got bigger with time,these walls were never maintained and new was constructed.However,to get a glimpse of the old city,located in the lower (older) neighborhoods, at the top of Mt. Carmel are the two mosques Istiqlal Mosque and Al-Jarina Mosque.The minaret of the mosque were taken down in 1903,and was rebuilt as a clock tower by Abdul Hamid II,one of the majoy Turkish rulers. Abdul Hamid II ,when he celebrated 13 years of his rule,he built around 100 clock towers all around the middle east.In Israel we have 6 of them. Secondly,He divided Jerusalem's old city into 4 quarters the Jewish,the Muslims,the Christians and the Armenian.Thirdly,he started the Armenian holocaust from 1901-1904 slaughtering 1.4 millions Armenians in Armenia. side the valley of Ajalon;they believed if the wind is coming in from the Mediterranean, then the power plant will not affect any of the communities living in this area because wind would not flow into Haifa. What they didn't know was since the valley is so wide and goes all the way to the east to the country of Jordan,the wind actually go the other way around.And hence,Haifa today is one of the most polluted cities in Israel. Further along,we could see Carmel mountains.Carmel is the heart for the sect of Carmelites,Carmelite is a catholic sect of Christianity,which nowadays is more popular,its about 3 times bigger than the baha'is.So they are pretty popular with around 20 million people worldwide as followers.We even have Carmelite churches in Portugal. On our right side far further along was the lower Galilee,and we saw the mountains getting higher and higher to the north.The start of a great journey begins! Awesome post. The snaps reflects that the place is so beautiful....Thank u for the share.